House Bill 354 would change how the state determines a school’s A-F performance grade by calculating 50 percent of the grade with the school’s achievement score and 50 percent of the grade the school’s growth score. Achievement scores reflect student performance on tests at one point, while growth scores look at academic improvement over time. Currently the grades are calculated using an 80 percent achievement, 20 percent growth formula. Critics argue that this methodology fails to adequately reflect a school’s effort to educate students, and is more a measure of student poverty than of learning. House Bill 266 takes a different tack and awards schools two separate A-F grades, one based on achievement and one based on growth. The achievement letter grade would be calculated using a 15-pt scale, while the growth letter grade would be determined using a 10-pt scale. All three bills passed on the House floor this week and were sent to the Senate for its consideration. Senators will have to choose between the House’s proposal to revise a single grade’s formula to a 50/50 split or go for their idea to award separate achievement and growth grades. If the Senate elects the former, they can also choose to keep the 15-pt scale in place by way of HB 362. And, of course, the Senate could also decide to forego all options and keep the current school grading system or come up with a new plan of their own. The House also passed two other education bills for Senate consideration. House Bill 79 would allow school districts to time their first days of school with the start of community colleges’ calendars, which would make it easier for dual enrollment students to obtain college credit. House Bill 295 would place a statewide ban on corporal punishment in public schools. Currently all school districts have done away with corporal punishment, but this law would make it harder for a local district to resurrect the policy on its own. 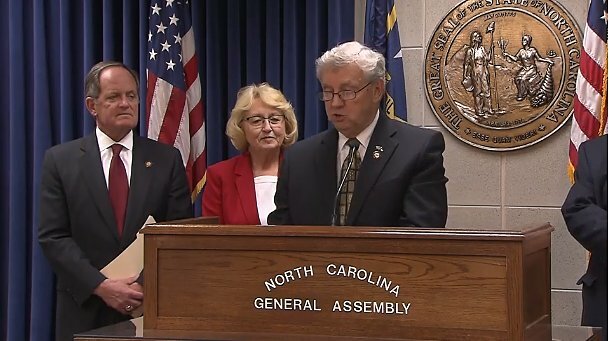 North Carolina students would see less testing under legislation with bipartisan support in the House, and parents would get new ways to challenge curriculum materials under a bill that’s also moving in the House, albeit on a decidedly partisan split. 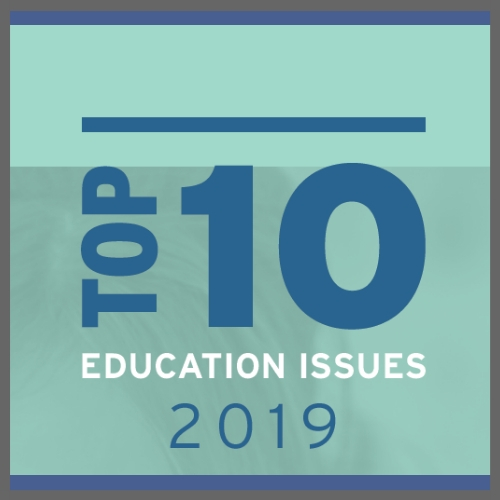 Half a dozen other education bills will be on the House floor as soon as Wednesday as the House ramps up its push for a slate of education reforms, most of which enjoy bipartisan support. How the measures will fare in the Senate, though, remains to be seen. 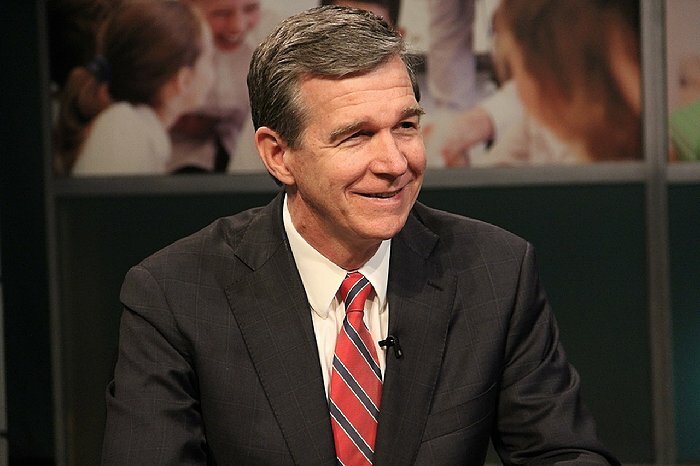 Fain, T. “Bills to cut K-12 testing, challenge curriculum materials advance in House.’” WRAL. 3/26/19. 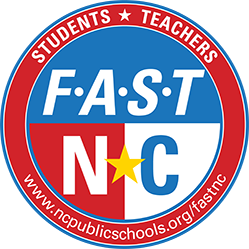 On Wednesday May 16, 2018, the opening day of the legislative session, educators and their supporters from across the state traveled to Raleigh to demand more funding for public education. Photo Credit: Julia Wall, News & Observer. 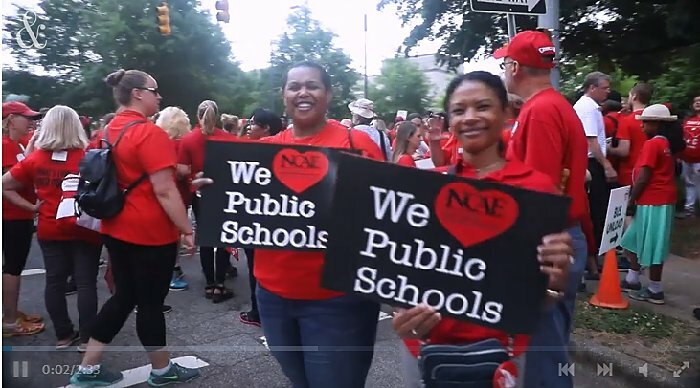 Hui, K. “Thousands of NC teachers marched on Raleigh last year. They want to do it again May 1.” News & Observer. 3/25/19. Lawmakers and environmental and health advocates said Thursday that the time has come to start such tests. 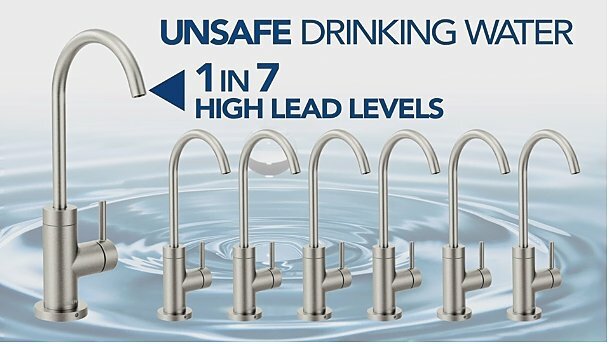 A study of dozens of child care centers in the Triangle area found 1 in 7 had at least one faucet with lead levels higher than what the U.S. Environmental Protection Agency considers safe. North Carolina has no school districts that still use corporal punishment. Photo Credit: Tom Fox, The News & Observer. After a heated debate about whether spanking and paddling is good for children, the state House voted Wednesday to ban the use of corporal punishment in North Carolina’s public schools. Supporters of House Bill 295 said it’s not the place of the state’s public schools to use physical violence to discipline students, pointing to research from groups such as the American Psychological Association. All 115 school districts in North Carolina have discontinued the use of corporal punishment, which once was used dozens of times each day across the state. Hui, K. “Though some legislators say spanking has its place, House votes to ban corporal punishment in schools.” The News & Observer. 3/27/19. 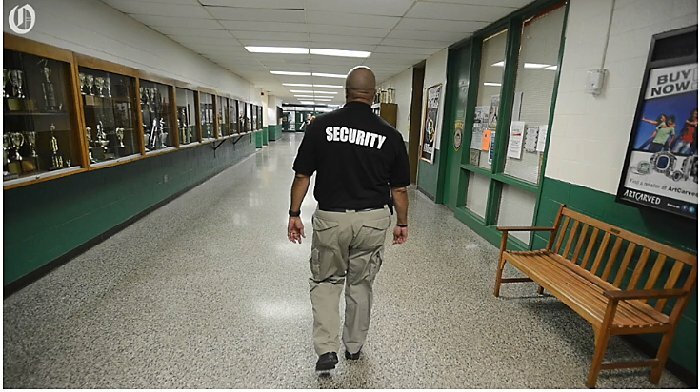 Charlotte-Mecklenburg Schools chief of staff Laura Francisco talks about 3 different screening models that include wands, metal detectors and gun powder dogs.Photo Credit: Stephanie Bunao and Charlotte-Mecklenburg Schools, The Charlotte Observer. Charlotte-Mecklenburg Schools launched a social media campaign Thursday as part of its strategy to keep weapons out of schools. The Guns Can’t campaign aims to involve students and the community in creating inspirational posters, to be shared on social platforms, that will boost awareness of the effort to keep schools gun-free. “Guns Can’t is based on a simple idea — gun violence in schools stands in the way of students who can make the most of their talents, skills and abilities in safe schools,” chief communications officer Tracy Russ told reporters. Henderson, B. “CMS launches social media campaign in fight agains guns in schools.” The Charlotte Observer. 3/21/19. Sydney Aiello, who graduated from Marjory Stoneman Douglas High School in 2018, died by suicide last week. Aiello, 19, survived the Parkland, Florida, shooting that killed 14 students and three staff members, and she reportedly struggled with survivor’s guilt and was diagnosed with post-traumatic stress disorder. About a week later, a second survivor and current Stoneman Douglas student, 16-year-old Calvin Desir, took his own life. And on Monday, Jeremy Richman, whose daughter was one of 20 children and six adults killed in the 2012 Sandy Hook Elementary shooting in Newtown, Connecticut, died in an apparent suicide. 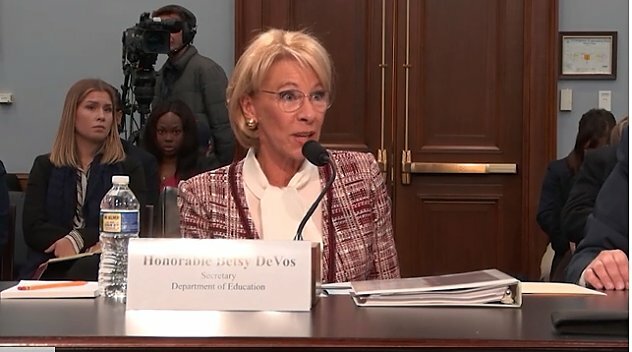 Rep. Mark Pocan (D-Wis.) on March 26 questioned Education Secretary Betsy DeVos about her proposed education cuts. (House Appropriations Committee) Photo Credit: The Washington Post. 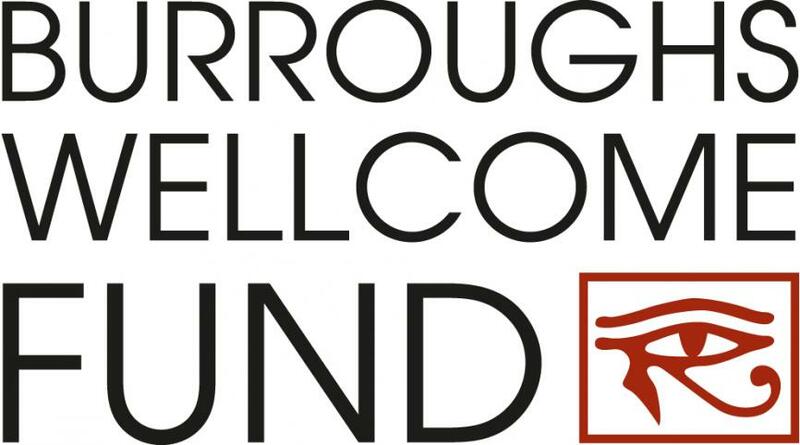 The 32nd NC Science & Engineering Fair (NCSEF) will be held at NC State University’s Talley Student Union on Saturday, March 30, 2019. General Volunteers are needed on Friday, March 29 (3pm – 7pm) and all-day Saturday, March 30. 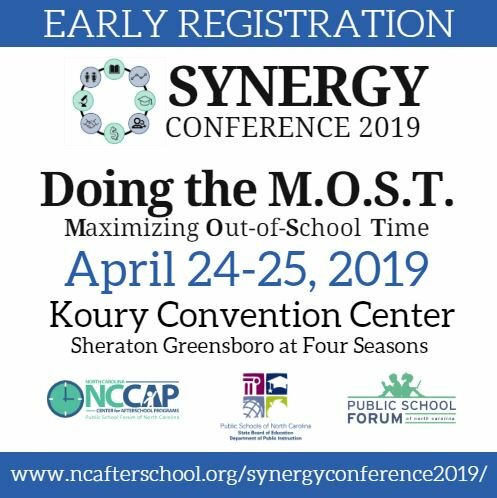 Click here, General Volunteer Registration, to assist with our 400 plus Grades 3-12 STEM student researchers from across NC with their project set-up, room and hallway monitors, awards preparation, awards ceremonies, and other needed tasks. The volunteer shifts are about 2-3 hours in length. The NCSEF is a 510(c)3 non-profit and is the NC affiliate to the INTEL International Science and Engineering Fair. NCSEF’s top 12 Senior Research Projects (Grades 9-12) will advance to the 2018 ISEF competition in Pittsburgh with over 1,700 high school competitors from over 70 countries. If you have any questions, please feel free to email our Volunteer Coordinator, Keith Beamon, at [email protected].